Balanced Rock in the middle of the photograph is about 128 feet high with the balancing rock 55 feet in diameter precariously balancing on the top. The big rock on top is the size of three school buses! It is located in Arches National Park in southeastern Utah. 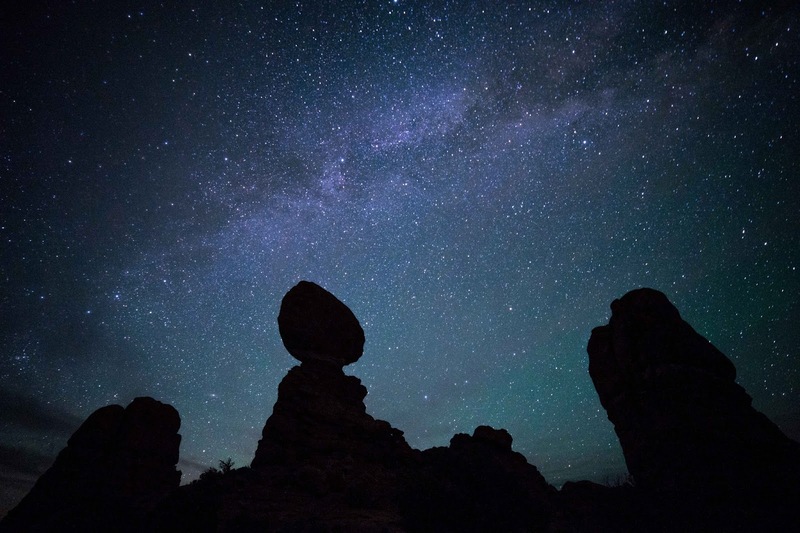 The Milky Way stretches horizontally above the rock. The sky is full of stars…millions.